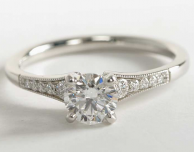 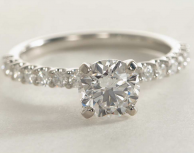 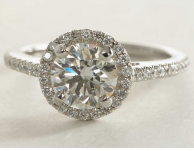 This is a gorgeous solitaire engagement ring with a twist! 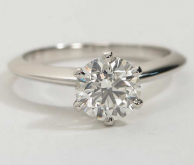 If you look closely at the picture above, you can see one of the two “surprise” diamonds that is on either side of the center diamond (Click the picture to see the item page with a better view). 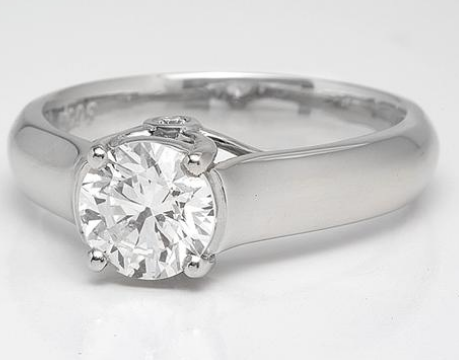 Other than that, this is a beautiful platinum engagement ring that’s simple but unique enough to be different from your ‘standard’ solitaire ring.